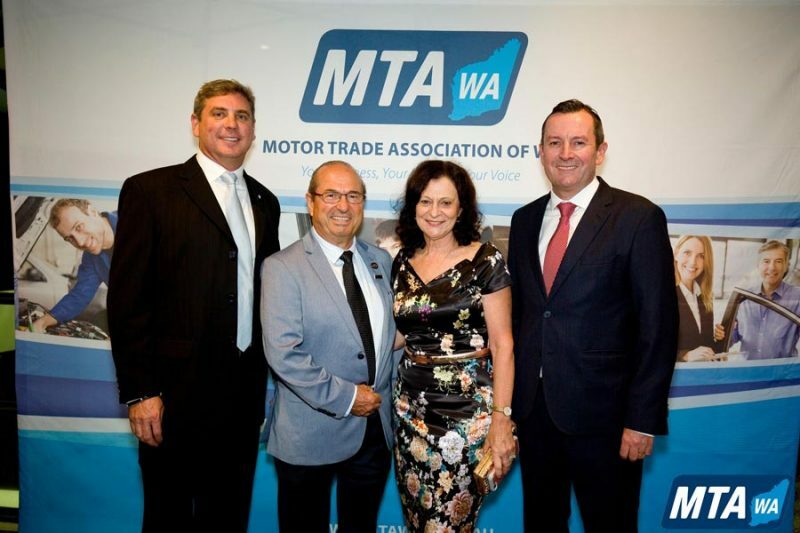 It’s official – on 22nd March 2018 Gino’s Panel & Paint have been officially recognised and awarded for our dedication to quality staff recruitment and development, being named the MTA WA Training Awards ‘Employer of the Year’! 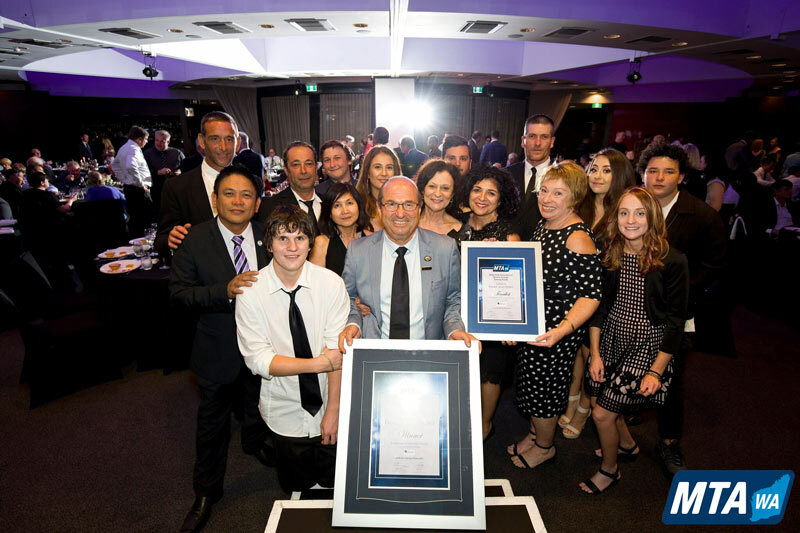 We are extremely proud of this Award and its significance to the Gino’s team, as it also recognises our continued commitment to investing in the future of the automotive industry. 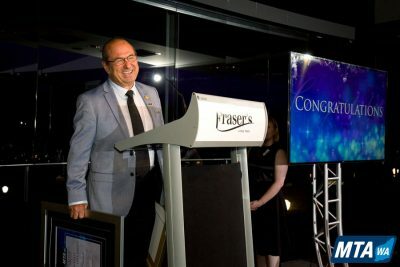 During his acceptance speech, Basil spoke about the need for employers to be proactive in not only taking on apprentices but in encouraging their staff to be fully engaged in passing on skills and knowledge to apprentices. 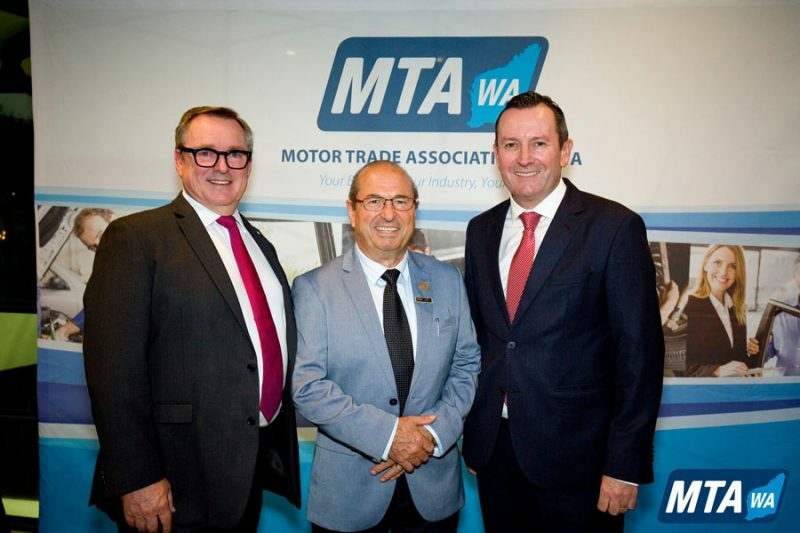 He also acknowledged some of his own apprenticeship team by bringing them to the gala event and encouraging them to stand up and accept applause from the audience (more than 230 guests including industry members, sponsors and dedicated contributors to the motor industry). Western Australia’s Premier, Hon Mark McGowan, also attended the gala event and stated that the employability and skills of today’s motor trade apprentices were “beyond compare”, with apprentices afforded the ability to “do anything and go anywhere” due to the demand for their expertise. Our team understand the substantial contribution that apprentices and trainees have to the future of our business. 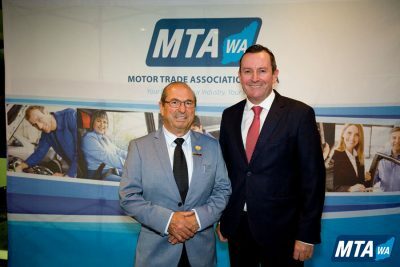 We are proud to be recognised as a leader in the training of panel beaters and spray painters, and this award is a further acknowledgement that we meet the highest standards regarding our training program, workplace health and safety, and industrial relations. Because we love what we do, we take care to get it right! 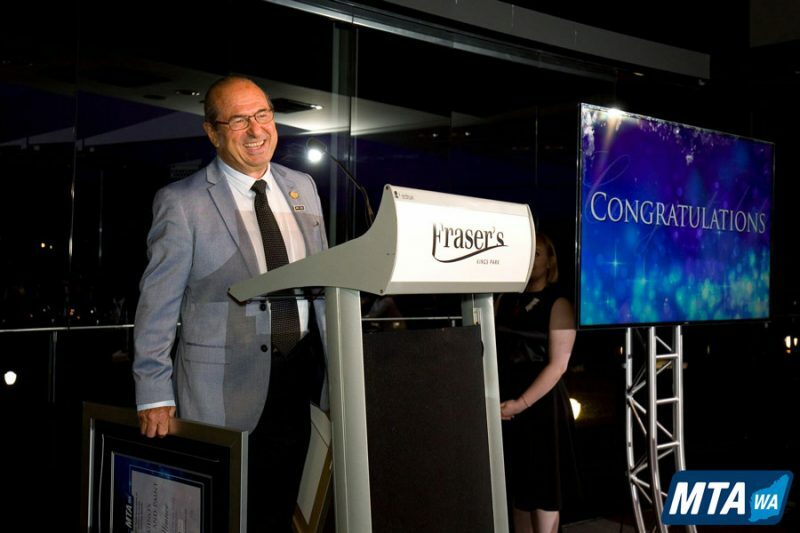 The proof of our high-quality training program can be seen in the result of thousands of happy customers, and feedback seen on Gino’s Panel and Paint’s Facebook page. 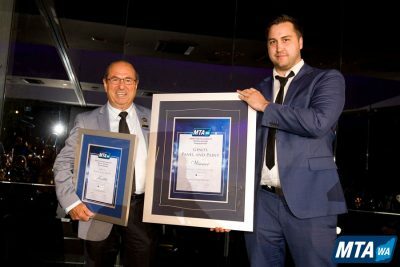 With over 45 years in the industry, Gino’s Panel and Paint have firmly made their mark in the local Fremantle area and become a major player in the Perth panel beater market. 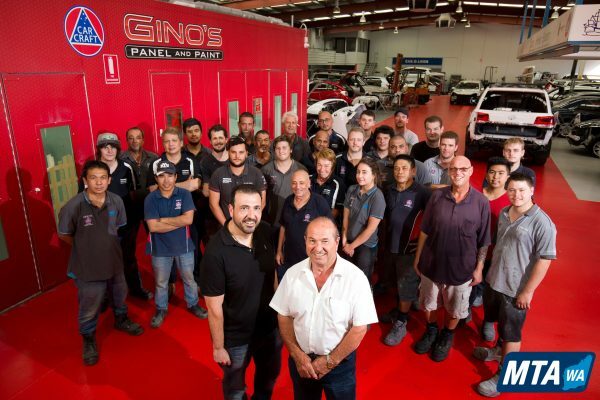 Find out more about the history of Gino’s Panel and Paint here. The MTA WA Training Awards gala event was held on 22nd March 2018, recognising business owners, apprentices and pre-apprentices who excel. 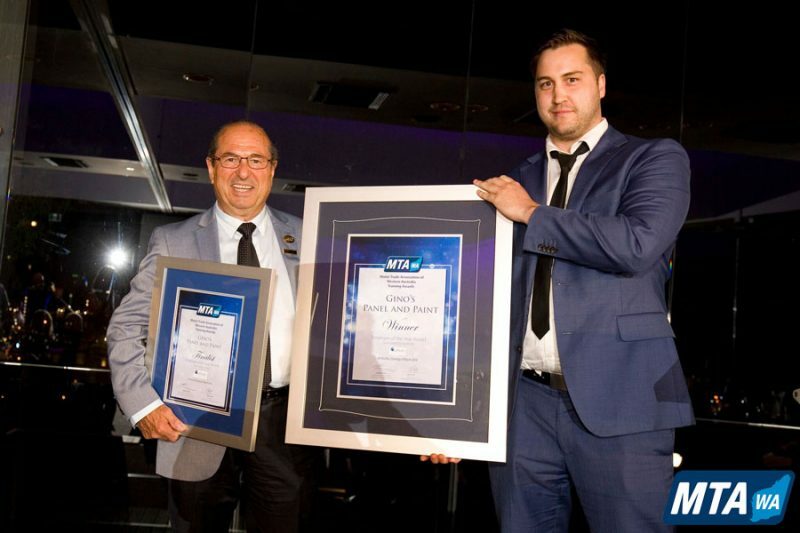 The team at Gino’s Fremantle congratulate all the finalists and winners! PS: Keep up to date with Gino’s news, as well as reading handy hints and tips by signing up to our newsletter below.